Here we are at Easter. My Lenten project is complete. I had a longer reflection written about Easter and what I think it’s about. Unfortunately, I think I left it at work. So, I’ll have to adapt it for another day, or wait a year, or put it in the book I’m working on. Or maybe all three. So I’ll just reiterate what PW has been saying for years. Easter isn’t about the resuscitation of a particular body of a particular man almost 2000 years ago. Easter is about remembering all the ways in which Love is STILL stronger than death, humiliation, defeat, shame, oppression, and degradation. But it’s not magic. It’s hard work, and so it’s why many of us go to church. We practice it in church so that we can find the strength to go out into the world with that same leaning forward into the hope of Love. It took me more than 50 years of church-going to hear that proclaimed as a reason to go to church. It’s so good, I don’t want to keep it to myself. So Happy Easter everyone. Let’s get out there and dance the world to the end of love. May it be so. 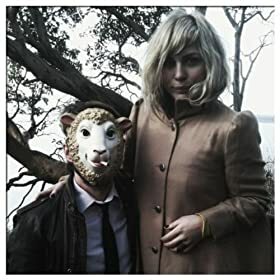 What better day to post something by a band called The Head and The Heart than in the space between Good Friday and Easter? The lyrics are a good fit, too. This video is another in the series of bike shop concerts that were part of SXSW 2011. I think the visuals of the setting add a whole new layer of meaning to the song. Also, I love when the drummer starts using a maraca instead of a drumstick. 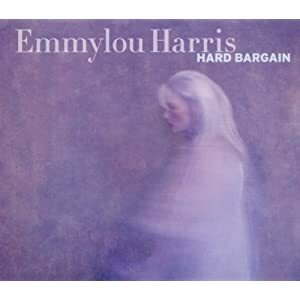 Here’s a Good Friday-themed psong from Emmylou Harris. In this psong, which will be released next Tuesday on her new record “Hard Bargain,” Emmylou sings farewell to her beloved friend, Kate McGarrigle. McGarrigle died last year from cancer, leaving behind a rich musical legacy and a bunch of heartbroken family members, friends, and fans. Here’s my recommendation for how to have a Good Friday that is really good: Think of someone who is, for you, the “sweetest note in the chord of life,” and then tell them that, using those words or ones that work for you. Even if that person is dead, say it. If anyone asks you why you’re talking to a dead person, just tell them that Emmylou does it all the time. So it’s finally come. You have left this world. But we’ll miss our Kate, our darling girl! And bid farewell, you’re sailing now. Will surely be your crown. Perhaps we will meet again somehow, someday. To see what’s more, our darling Kate. You fed our souls, you filled our cup! We fell in love, we had no choice. But in that place I’m bettin’ there’s a better song. You were the sweetest note in the chord of life. I once heard a reviewer comment that one way to know that a song is a classic is if when other artists cover the song, they hew closely to the original arrangement, presumably because it can’t be improved upon. Of course, my leaky memory can remember the comment, but not the song the reviewer was referencing. Richard and Linda Thompson’s psong “Dimming of the Day” was already a classic before their marriage fell apart. Their divorce makes the Thompson’s duet on this psong that much more intensely beautiful. 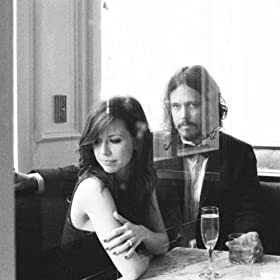 On the new album “Paper Airplane,” Alison Krauss and Union Station stay almost too true to the Thompson’s arrangement of this psong. Still, Krauss’ voice is one of the wonders of the universe, so she could sing the ingredients list from a cereal box and that’d be just fine with me. Hearing her swoop and soar through this perfect Maundy Thursday psong is a treat, even if the video is lame. I hereby declare today Murky Wednesday, and not just because our spring-impaired weather here is cloudy and cold, with occasional sideways-blowing Oobleck. Tonight begins the slog through Holy Week, which feels to me like Christianity’s spin on the old Saturday Night Live line “Generalissimo Francisco Franco is still dead!” By the time all the readings are done between the beginning of Palm Sunday and the end of Easter, Jesus has been crucified (by “THE JEWS”!!!) approximately 812 times. At least that’s how it feels to me. It’s a wonder–maybe even a miracle!–that I’m not an atheist by now. But that’s probably, in part, because I’m married to a Bible scholar who dissembles the anti-Semitism of the Christian Gospels at every opportunity (and there are many). It’s also probably because I have never thought I had to believe any particular party platform in order to belong to a church community. Here we are on Knuckle Tuesday (see the previous post for an explanation of the special name for this day), with a psong that celebrates imperfection. 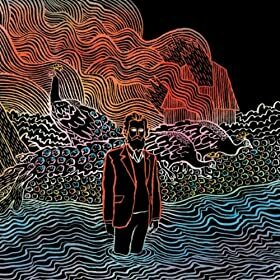 Tuesday is a great day of the week for thirsty music lovers, because that’s generally the day that new records are released. 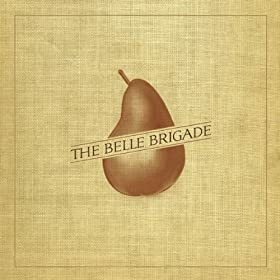 Today doesn’t disappoint, with the release of the self-titled debut album “The Belle Brigade,” by the sister/brother duo, Barbara and Ethan Gruska. I’ve been waiting to share this psong with you all since I first heard it a few weeks ago. I don’t have any lyrics for it, but I think they’re pretty easy to hear. There are other videos of them performing this psong with their band, but this video is too adorable not to share. It seems to me that every day of the week between Palm Sunday and Easter should get its own name. Churchier folk than I probably already know them, but since I don’t, I’m going to make them up. The question is, do I go with a theme related to the palm tree, or to the palm of the hand? Maybe I’ll alternate. 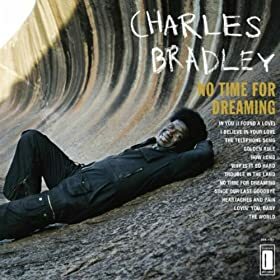 So, for my newly christened Slippery Elm Monday, you’re in for a treat: Charles Bradley. How could I never have heard of Charles Bradley before last week? Maybe he’s in the same corner of the musical universe as Ruthie Foster, and I only fell into it last week (though I’ve been a fan of Ruthie Foster’s for a long time). I’ve never been to SXSW, but I love the idea of having a concert in a bicycle shop. For a second there, I thought Charles Bradley was going to hop on one of those bikes and ride it around while he sang. He looks like he’d be able to pull it off. Ooh, they don’t see me cryin’ so what I’m gonna do? Is it you? Or you? You? Or you?